Current issues accessible exclusively for Members. Free access after an embargo period of six months. Opinion corner: Chinese foreign investment: A dangerous obsession or a new normal? The world trading system based on rules laid out by the World Trade Organisation (WTO) is under acute threat by the United States blocking the reappointment of appeals judges and the standstill in the Doha Round negotiations. Reasons include the increasing number, heterogeneity and economic power of developing countries engaging in international trade and in multilateral trade negotiations. This article reviews the EU’s trade relations with developing countries from the early steps until today. Free trade is generally seen as an instrument to foster efficiency and growth and few would doubt that the European economic integration was and is a big success story. 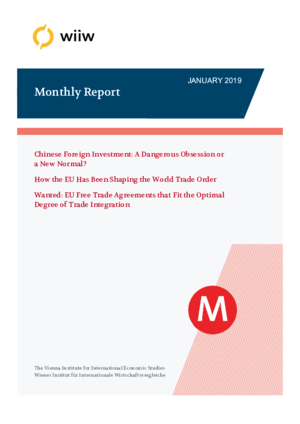 Therefore, the EU started negotiating numerous free trade agreements with extra-European partners, particularly in Asia, once it was clear that no further progress in the WTO arena would be achieved any time soon. Until recently, little attention was paid to the fact that the liberalisation drive would also entail ‘pains from trade’ which tend to grow with the heterogeneity of the involved partners. This article therefore argues in favour of ‘an optimal degree’ of trade liberalisation.